Wixams in Bedfordshire is one of the UK’s latest and largest new towns sited on 750 acres of brownfield land formerly known as the Elstow Storage Depot. Once complete, approximately 4,500 new homes, together with schools, commercial and retail properties, will form the heart of this huge development. Gallagher Estates, based in Warwickshire, is the main land developer. Currently under construction is the infrastructure on phase 3A which involves a water course diversion on a section of the Harrowden Brook beneath the site’s Northern Distributor Road, one of the main access roads on the development. Milton Keynes based Smith Construction Group is undertaking the infrastructure civils and ground works. Because of the significant vehicle loadings on the access road during construction on site, precast concrete culvert box sections were the only considered option to channel the water course beneath. 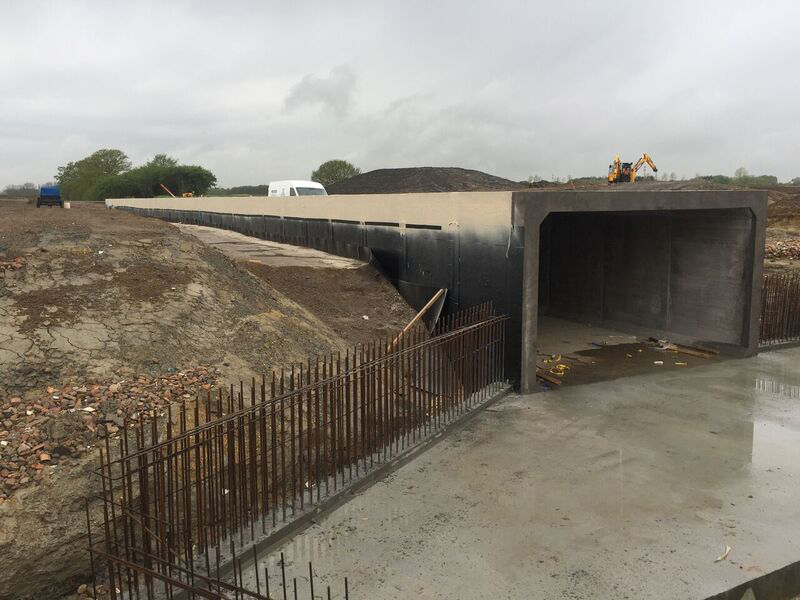 In discussion with FP McCann’s box culvert design team based at Weston Underwood in Derbyshire, Smith Construction’s project engineers adopted aprecast concrete box culvert design 65 metres long, 4.8 metres internal width and 2.7 metres internal height. 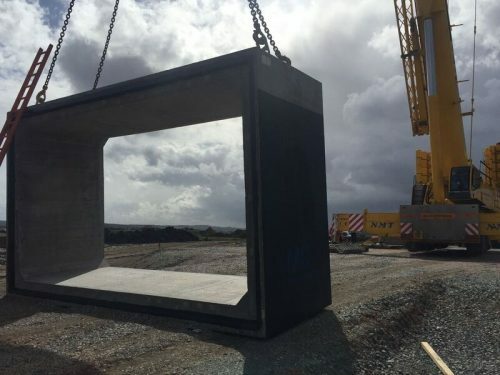 The 35 individual sections weighing around 22 tonnes each were manufactured at FP McCann’s Byley production facility in Cheshire and delivered to site to be installed using a specialist crane. Each unit has been bitumen coated externally for added waterproofing. For further information on FP McCann’s precast concrete box culvert solutions, contact the team at Weston Underwood on 01335 361269 or email sales@fpmccann.co.uk.